Apple also released updates for macOS 10.13.3, tvOS 11.2.6, and watchOS 4.2.3 , these updates are just patches to fix the “Telugu” bug which causes apps like messages to crash when a single character of the Telugu language is sent to them, Telugu is a Dravidian language native to India. These updates also fix other bugs, including a macOS bug which displays messages in the Messages app in the wrong order. The bug surfaced on a bug report site called Open Radar just over a week ago, and is as simple as sending a Telugu language character to the device which causes the device to crash. Apple’s security update outlines the bug as a “memory corruption issue” caused by “processing a maliciously crafted string”. 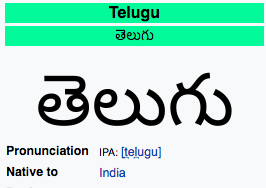 The “Telugu” bug is the latest in a series of “text bomb” bugs to affect iOS devices. These updates are a quick install via Settings > General >Software Update, however the macOS update via the App store requires your Mac is restarted. Most companies aren't fully covered in either security or compliance. With our free dark web scan you can start the journey to a safer future.